Baltimore trying to stem decades-long disappearing act | The Philadelphia Tribune The sounds of late-night interlopers stomping down the stairs of a musty wreck next door; a constant fear of fire set by vandals; the social isolation; the rats. With no faith in a prompt police response, they keep a bat at the ready. BALTIMORE — LaShelle Rollins’ rental house in West Baltimore is wedged between a line of derelict properties valued only by street gangs, drug addicts and firefighters conducting arson drills. And even though her family’s $700-a-month address sits across from a public school, they are among the only occupants of this desolate block. 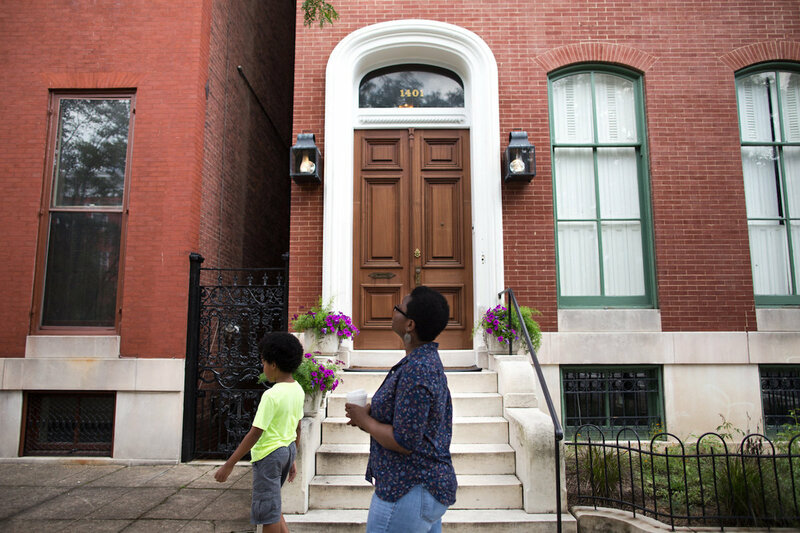 “It’s like we’re a forgotten population,” said Rollins, a Baltimore native who’s studying for a community college degree that she hopes will get her family out of this gloomy neighborhood — maybe even out of the city that part of her still loves. The African-American woman with a bright-eyed 6-year-old daughter and a husband on disability isn’t the only one with leaving on her mind. At a time when rival cities are gaining population, Baltimore’s decades-long disappearing act is only continuing. In 1950, Baltimore was America’s sixth most populous city, with nearly a million residents, many employed by Bethlehem Steel. Over decades, with factories closed and “white flight” in the 1960s and ’70s followed by waves of “black flight,” it’s shrunk to the country’s 30th largest, a loss of nearly 350,000 people.